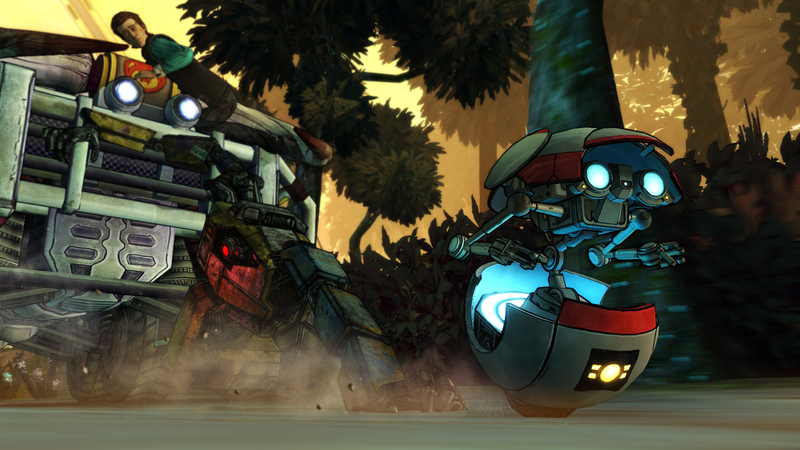 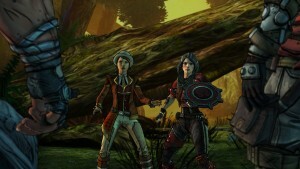 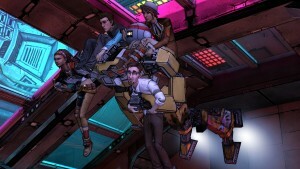 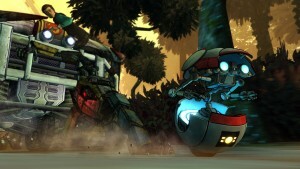 Leading and award-winning developer and publisher of digital entertainment Telltale Games, in collaboration with award-winning developer Gearbox Software, creator of the beloved Borderlands franchise, and publisher 2K, today announced the release of ‘Catch a Ride,’ the third of five episodes for Tales from the Borderlands: A Telltale Games Series. 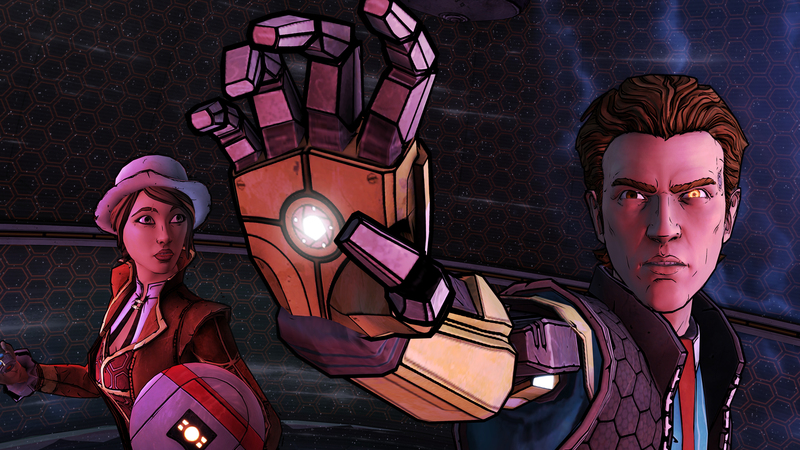 The episode is available today on PC and Mac from the Telltale Online Store, Steam, and other digital distribution services, and on the PlayStation Network for PlayStation 4 and PlayStation 3. 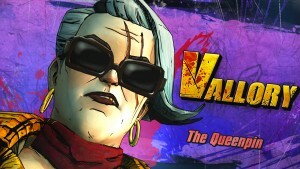 The episode will be available Wednesday, June 24th on the Xbox Games Store for Xbox One and Xbox 360, and will be available for compatible iOS and Android-based devices via in-app purchase starting on Thursday, June 25th. In Episode 3, after a dizzying escape from a very-near-almost-certain-death scenario (involving statuesque buttocks), Rhys and Fiona find themselves looking for another piece of the puzzle that will lead them to the untold riches of Vault key ownership. 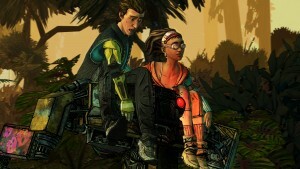 Lost in the mysterious jungle of an Atlas terraforming facility, Fiona finds help from an unexpected mentor, Rhys continues to share brain-space with the disembodied mind of a dead dictator, and love is in the air. Pursued by the ruthless criminal ‘Queenpin’ Vallory, and with very little help from Vaughn’s accountancy skills (or stellar abs), getting anywhere near the Vault will be entirely up to you. 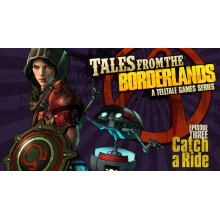 Tales from the Borderlands: A Telltale Games Series – Episode 3: ‘Catch a Ride’ is rated ‘M’ (Mature) for Violence, Blood and Gore, and Language by the ESRB. 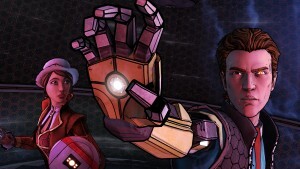 The series is published digitally by Telltale Games in partnership with Gearbox Software and 2K.